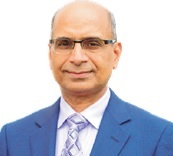 Mr. Masoom Akhtar B.Com, FCIS, FCA a senior partner of Masoom Akhtar & Co., Chartered Accountants. He has already served as an independent director on the Board of ISE Towers REIT Management Company Limited during 2016-2019 term. Besides, he has also served as the Chairman of the Audit Committee of the Company. As an independent director and Chairman Audit Committee he has contributed immensely for the betterment of the Company. He is a certified Director from Institute of Chartered Accountants of Pakistan, an institute accredited by SECP for Directors Training Programme. He was admitted to fellowship of Institute of Chartered Accountants of Pakistan (ICAP) in 1991, and also a Certified Director from ICAP. With extensive experience of over 25 years in finance, taxation, audit/assurance and consulting, he has attained valuable expertise in investigation, dispute resolution and arbitration. He was on the penal of Advisory and Arbitration Committee of Islamabad Stock Exchange Company Limited as “industry expert” and played an active part in resolving a number of Arbitration cases. He currently serves on the Advisory and Arbitration Committee of Pakistan Stock Exchange and also on the panel of the financial consultants of World Bank. He has been associated with a number of projects of United Nations Development Programme reviewing compliance of their internal controls etc. He also assisted the sales tax appellate tribunal as commissioner in disposal of appeals. He has been served a member of Continuing Professional Development Committee as well as Technical Advisory Committee of the Institute of Chartered Accountants of Pakistan. With a vast experience in the field of real estate he is consistently providing consultancy for various real estate projects including Bahria Town and Pakistan Housing Foundation. He has made valuable contributions in strengthening the internal controls of the Company in his past tenure.